What is a Fantasy Football Orphan? It's simply a team in a multi-year league that has been abandoned by its owner. A sad state of affairs. These unwanted teams need new homes, and we help place them in homes to keep the leagues alive. So a team becomes orphaned in these leagues when it is not renewed by the renewal deadline. For DataForce Fantasy Football, that deadline arrives sometime in May, so much of May and early June are spent finding new homes for orphans. It's fun and it's cheap. Rarely is an orphan team sold at full value (meaning, the value of its deposit), so buying orphans rather than joining new leagues saves you money. 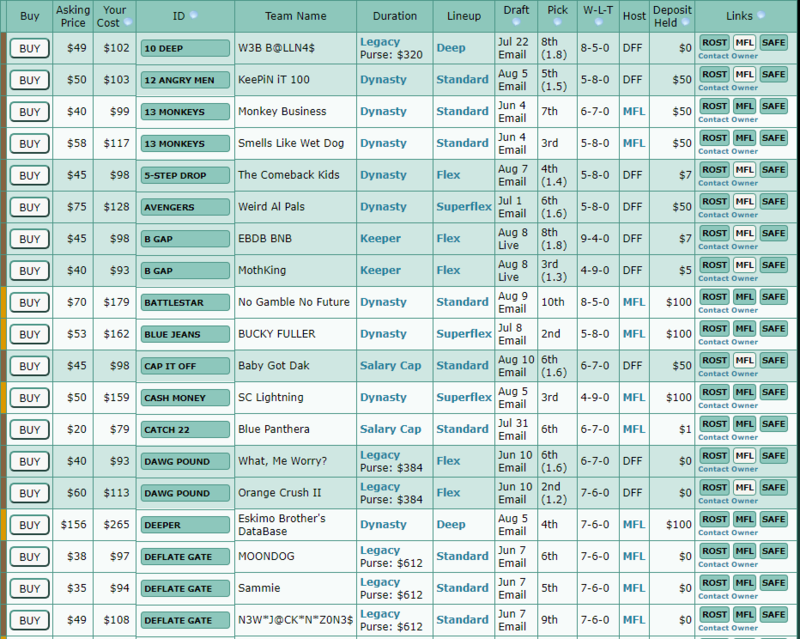 It's a chance to join a keeper or dynasty league, or any kind of multi-year league for that matter, for a cheap price. 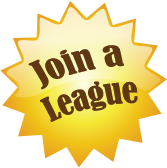 Instead of paying a deposit to join a new league, you can buy into an existing league by purchasing a dropped team. You avoid paying a deposit for these leagues, you pay only the purchase price. Plus, of course, you must pay the entry fee for the new year. It's also fun to try to take over a dropped team and make something out of it. Orphan buyers love the challenge of finding hidden gems on teams that performed poorly, and often the "gems" are not sleepers but early draft picks in the upcoming draft. Occasionally you can also find a team which is stacked with talent, but the owner simply cannot continue with the league. Buying orphans is practical for another reason: The deposit on the team becomes yours. See below. When and Where Can I Buy Orphans? Buy them here on DataForce Fantasy Football, anytime prior to early June. DataForce sells orphans in two ways: On our buy-it-now page, for a set price, and also on our orphan auction page. Teams can be abandoned at any time prior to the renewal deadline (usually mid-May) so if you're in the market for a new team, it pays to keep an eye on these pages. Immediately following the renewal deadline, DataForce places all remaining orphan teams up for bid in our annual auction. This is a blind bidding auction, and the bids are revealed a week later to determine the winners. How is the Orphan Price Determined? Initially, the price can be set by the selling owner. In fact, if you know you're not going to renew a team, it's best to drop it early in the year and set a price on it so that buyers can see it here. After the renewal deadline passes, all buy-it-now prices are dropped and the teams go on auction. But after the auction ends, teams which did not receive a bid return to this buy-it-now page. This time, we set a price, and we set it relatively low so that it will sell. We set the price based on an evaluation of the players currently on the team, without digging deeply into available draft picks or auction money, so bargains can often be found. Finally, if it looks like the teams still will not sell, we do an orphan giveaway, in which all remaining teams go on sale for just $1. Where does the Money Go That I Spend on Orphans? In most cases, the team was abandoned this year. The purchase price goes into the pocket of the prior owner. If this league is being acquired this year from another site, then the teams have no deposits. They also have no one to give the money to. So, when you buy an orphan in such a league, the price you pay automatically becomes the deposit amount. When you see odd deposits amounts on teams, like $17 or $23, you can be sure that they were purchased at the time the league was revived from another site. Sometimes a league will have one or more teams run by shills. This can happen when an owner abandons his team mid-season, or is removed from the league for consistent rules violations, or if an orphan simply couldn't sell. In these cases, the purchase price goes to the person who ran the team as a shill the prior year. What Happens to the Deposit when I Buy an Orphan? 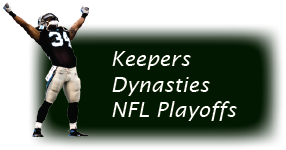 All multi-year leagues require you to pay a deposit when you join a brand new league, with a couple of exceptions: (1) Legacy leagues do not require deposits because it's unnecessary; half of the prize fund each year gets set aside for the overall winner, so these teams have an inherent value already. (2) Grandfathered leagues that are acquired from other sites do not require that its owners pay a deposit. When you see a league for sale which has a deposit of $0 or close, you can be relatively sure that the league has grandfathered owners. In new leagues, the deposit is always equal to the entry fee of the league. To join a brand new $100 dynasty league, you'll pay $200, including a $100 deposit. These deposits are not refundable until the league is discontinued. At that time, the deposits are paid back to whoever currently owns the teams. So when orphans are bought and sold, the deposit remains with the team to give the team value. DataForce orphan auctions are blind bidding auctions. That means you place a maximum bid in dollars, which is kept secret until the bid deadline arrives. If you are the high bidder, we sell the team to you at that price. As a rule of thumb, bid half the deposit held. You become the new owner of the deposit if you buy the team, so half-price isn't bad! For teams that are particularly attractive, you'll want to bid as much as the deposit or even higher, and for teams with no redeeming features at all, you should bid 20% of the deposit. You cannot bid less than 20% during the auction phase (the software won't allow it), but if the team goes unsold, you'll have a chance later to pick it up, perhaps for as low a price as $1, on the buy-it-now page. Can I Bid on Two Teams in the Same League? Yes, but of course you can't own two teams in the same league. If you win more than one, you'll have to make a choice. That said, please do not bid on a team if you don't have every intention of buying it at that price! It works like this: When the auction ends, we choose the high bidder for each team and contact him or her, asking for payment. They have 48 hours to pay for the team, and if they win more than one team in the same league, they must choose which one to buy. If for any reason a bid is not or cannot be honored within 48 hours, our software selects the next highest bidder, and gives that person 48 hours to pay for the team. This process continues until there are no potential buyers left. When all potential buyers are exhausted, the team is assigned a new price by us, and it lands on the buy-it-now page.